Huge thanks to VivaTechnology 2017 ! We were at the global innovation event, VivaTechnology. 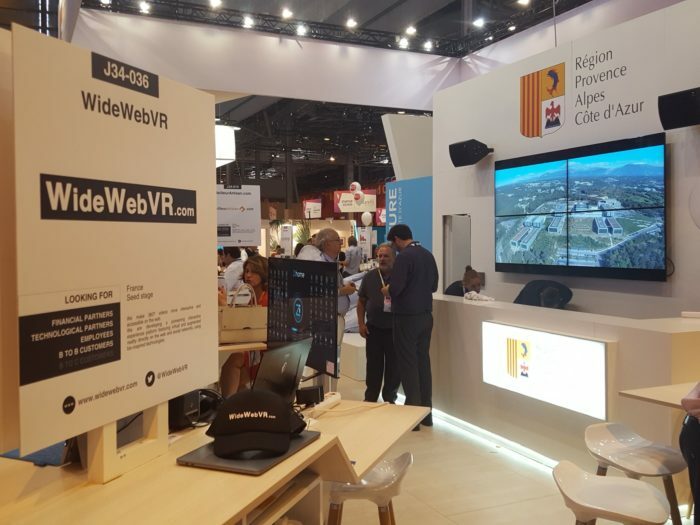 No other place would have been better to introduce our new startup WideWebVR, the first 360° Video and VR interactive platform accessible directly on the Web and connected to social media. Invited by the Region Provence Alpes Côte d’Azur as a startup, WideWebVR team has met so many future partners for its pioneer project. It was a real pleasure / privilege / satisfaction / honor to participate, during these three days, to this technologic and enthusiastic ecosystem, at the cutting edge of innovation for our societies’ future. For the Second edition, around 68,000 visitors attended the Exhibition so as 6,000 startups, 1,500 investors and thousands of executives from all over the world. The perfect place to share visions on technology, digital, innovation… and to create relationships to improve the future of economy and business. We’ll be back in 2018 !